Jane brings over 25 years of educational nonprofit management experience. Focused on equity and access over her career, she led the Options Center and created the Options Institute, which provide college access and success programming to young people and training and capacity-building to school and community based counselors. She also headed Learning Leaders whose programs engaged parents as essential partners in public education. Jane lives in Brooklyn with her family. A graduate of the NYC public schools, she is also the proud parent of two teenagers in public high schools in Brooklyn. She has a Masters in Public Administration from Baruch College. 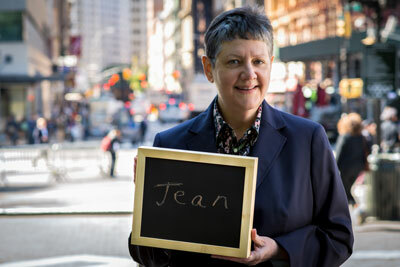 Jean has worked at INCLUDEnyc since 1999. She manages the direct assistance program, works with parents and professionals, and conducts training on advocacy skills and special education. She is a key leader of INCLUDEnyc's Special Education Parent Centers and participates in several coalitions and advisory groups. Formerly a chef, she is the parent of a daughter with disabilities. Jean first contacted our organization as a parent seeking help and volunteered for two years before joining the staff. 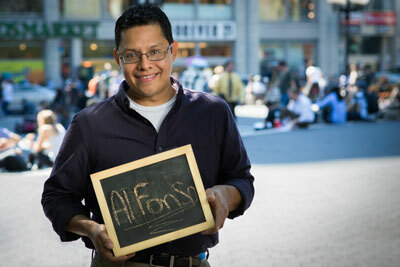 Alfonso conducts recruitment and outreach activities, and helps to develop and deliver NY PROMISE trainings. He has designed, translated, and delivered a wide variety of parent workshops for families and professionals. He began his career in Early Intervention, has trained families in the child welfare system, and brings over a decade of social services experience to his work. Alfonso has an M.A. in Psychology. Ruth brings a lifetime of nonprofit and advocacy experience to INCLUDEnyc, including 30 years working for the Healing Arts Initiative. 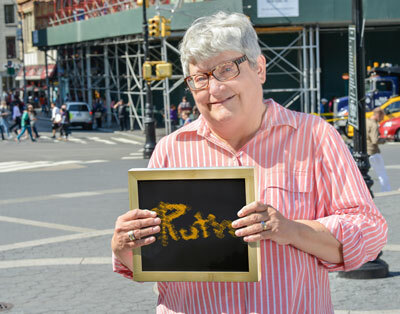 As a parent of a child with a disability herself, Ruth lends an intimate knowledge and passion to her mission to help New York City families provide the best possible education and future for their own children with disabilities. She has a master’s degree in Special Education and Urban Education as well as a master’s in Labor Relations and Management from Pace University. 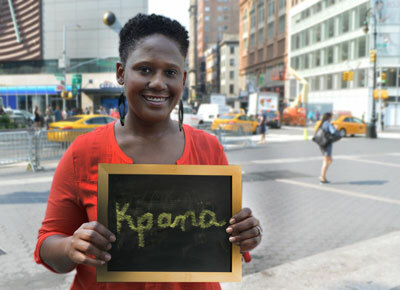 Kpana brings a wealth of information and expertise as a parent advocate and co-founder of a growing autism parent support group in the Bronx. She develops and disseminates information and resources to parents in underserved communities and collaborates with community organizations in the interest of people with disabilities. As a parent of a child with a developmental disability, she brings a passionate family perspective to her work. Kpana has a B.A. in Communications from Howard University. Diana has extensive experience with nonprofits in the fields of education, immigration, and the environment, both in New York City and in London, England. One of her children has a learning disability, and Diana is thrilled to be able to guide young people and their families. She is a native Spanish speaker and is particularly interested in servicing and supporting the Spanish-speaking community. Diana has an M.A. in Latin American Studies from Tulane University. Colin Montgomery, M.A., M.S. Ed. 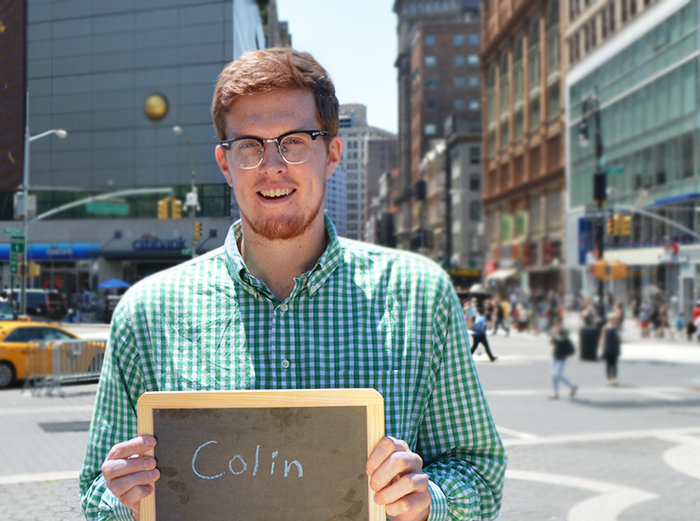 Colin believes strongly in educational empowerment as a means to greater racial and social justice for families and communities. A former Special Education teacher and department head, he joinedINCLUDEnyc to advocate for and provide support to families of children and young people with disabilities by connecting them to resources within the community and by delivering interactive workshops. He holds a Masters degree in Special Education. His teaching work and previous work with immigrant students in New York have deeply informed his commitment to working with families and communities. Kaitlin delivers trainings and advocates for families with young people who have disabilities. Kaitlin joined INCLUDEnyc after working on education development projects in Jordan and working with refugee children, youth, and families in both host communities and the Syrian refugee camp. Inspired to work in the field of disability inclusion and advocacy because of her younger brother with a disability, Kaitlin has worked with children with disabilities and their families across a variety of communities and cultures both in the Middle East and in the Midwest. She holds her Bachelors in Political Science and Educational Studies from Macalester College. Steffany Ruiz is a firm believer that the family is the basis of society and therefore plays a fundamental role in our children’s lives. Steffany has joined INCLUDEnyc to advocate and provide support to families of children and young people with disabilities by connecting them to resources within the community and delivering interactive workshops through the NYS PROMISE Project. Steffany holds a bachelor’s degree in Psychology and has extensive experience working in the field of social services. She began her professional career working with families of children in early childhood in Bogota, Colombia, then as a case manager for a Mental Health clinic and as a family advocate for high risk families in New York City. Since graduating from Brandeis University with her Bachelor's degree in Politics, Arlene has worked on behalf of immigrant families, survivors of domestic violence, and public school students in under-resourced communities. Arlene also has legal research experience in areas of education law, and has assisted in presenting before the National Charter Schools Conference. Arlene is passionate about bringing information and resources to parents and caregivers, in order to develop the skills they need to become stronger advocates for their children.